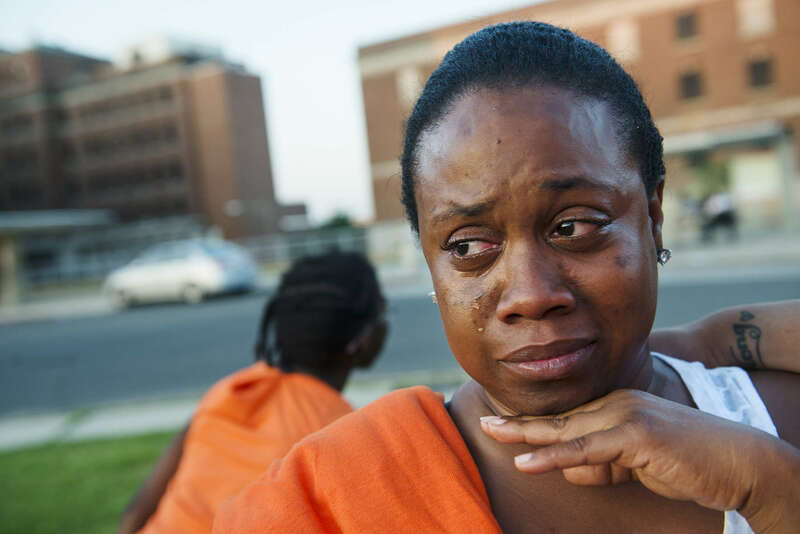 WASHINGTON, DC - JUNE 3: Bre Archie, 35, a resident of the DC General shelter of a year and four months comes to tears while attending the "Rally of Respect" outside of the facility on Tuesday, June 3, 2014 in Washington, DC. Residents and advocates outside the shelter came together to shine a light on the unhealthy conditions and safety concerns, including the disappearance of Relisha Rudd at the facility. Archie said she was frustrated with the shelter policies stating, "Whenever I try to take two steps forward they are pulling me backward. I am trying to go to school and they won't let my boyfriend come into the shelter to stay to watch my kids." She added, There is no affordable housing in DC.